TRANSCEND MEDIA SERVICE » What Would a Socialist America Look Like? 3 Sep 2018 – Just a decade ago, “socialism” was a dirty word in American politics. Debates over its merits were mostly limited to obscure blogs, niche magazines and political parties on the other side of the Atlantic. 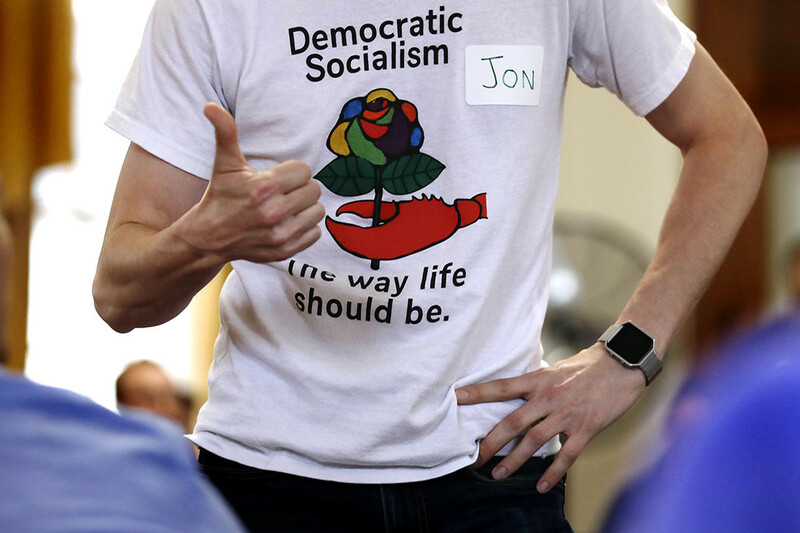 But more recently Bernie Sanders, Alexandria Ocasio-Cortez and a handful of other politicians have breathed new life into the label, injecting a radical alternate vision for the U.S. economy into the mainstream political debate. Ahead of the midterms, politicians like Ocasio-Cortez, Michigan’s Rashida Tlaib, and Kansas’ James Thompson have proudly held up their endorsements from Democratic Socialists of America, the country’s largest socialist group, whose numbers have swelled since Sanders’ 2016 presidential campaign.